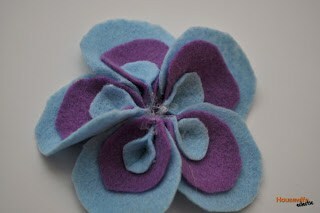 This delightful felt flower, named for my niece, looks complete and intricate but is actually simple to pull together. I love this flower on a clip for my daughter to wear in her hair. I used blue and purple, because we never seem to have a blue hair clip when we need one, but this flower would be pretty in so many color combination, yellow and orange, pink and white. The possibilities are fabulously endless. 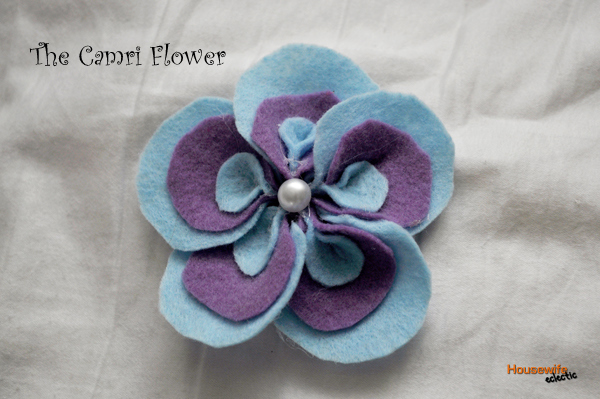 a center for your flower, I used a pearl button. The first thing you need to do is cut your circles. You will need five of each color. You will cut your largest and smallest circles from the same color. My large circles are an inch in diameter and my small ones are a quarter of an inch in diameter. 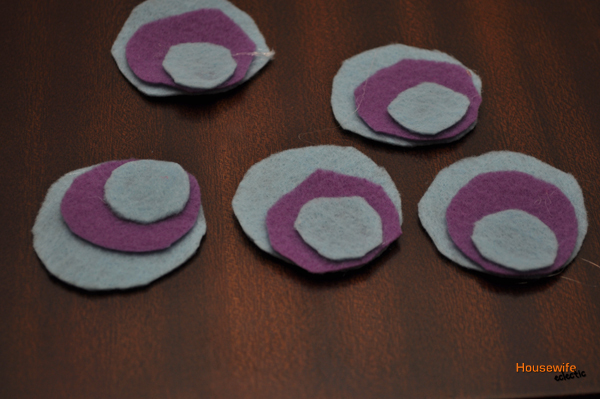 I cut one circle of each size and then used it as the pattern for the other four. You will also need SIX circles of the middle size in another color. My middles are a half inch in diameter. You need five to be middles and the sixth to be the circle that you glue your petals to. Glue your middles to the bottom edge of the largest circles. Then glue your smallest circle on top, also to that same bottom edge. Repeat for all five petals. 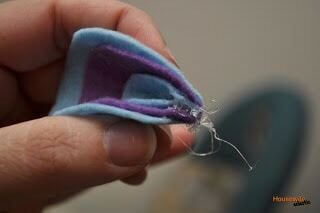 Pinch your petals together at the bottom where the circles meet and hot glue to keep them that way. 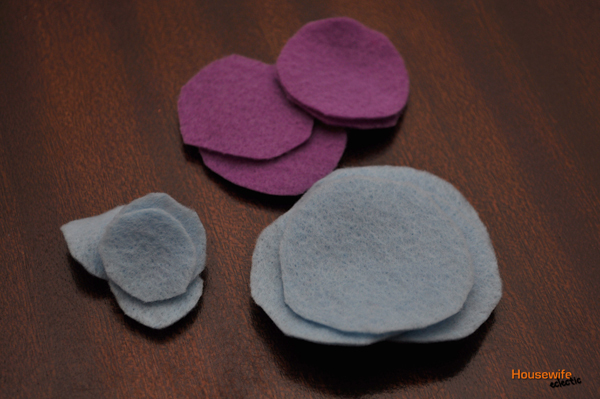 Glue all five petals onto the last felt circle you have remaining. Add your favorite center to the middle of the flower, whether it be a pearl, button or rhinestone. Then glue your flower to a headband, or pin and you have a gorgeous way to complete an outfit! What would you use this flower for?